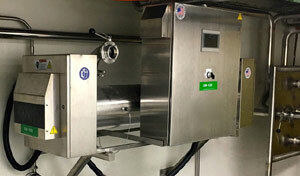 The Liquid Sugar “LS” UV systems are designed to treat flows of up to 200GPM (gallons per minute) per vessel. 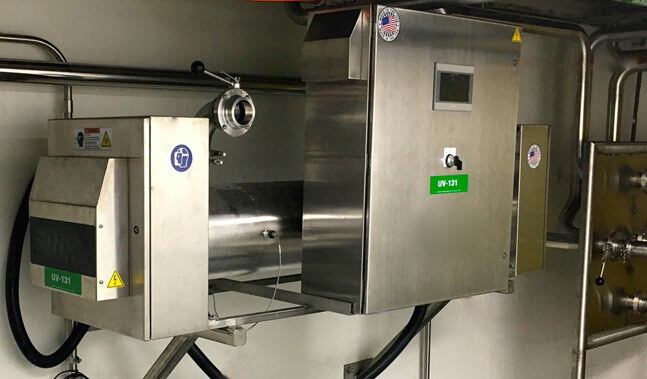 Liquid sugar, which has very low UVT (Ultraviolet Transmission or Transmittance), passes as thin film over tightly packed UV lamps where it is exposed to powerful germicidal ultraviolet light and is disinfected. The germicidal ultraviolet lamps are oriented in tight clusters to maximize UV exposure at very low UV transmittance levels - as low as less than 1% UVT. The liquid sugar UV systems are specially designed to treat liquids in a thin film manner - with the lamps close together to optimize the disinfection process. They are designed to treat opaque and thick liquids, sucrose syrups with high osmotic pressure (brix 25-67), glucose, juices and other base materials. 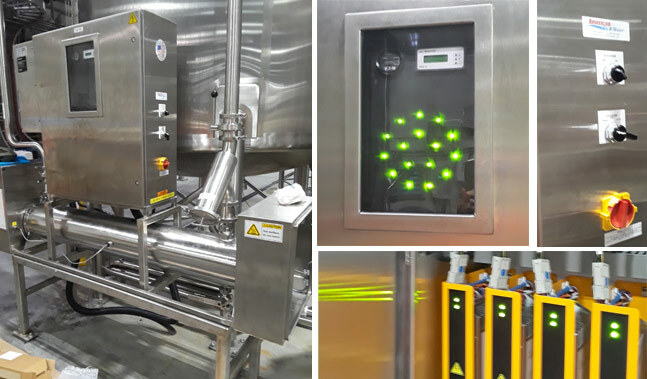 While the thin film UV systems have been used primarily for disinfecting liquid sugars, where microorganisms can exist in spore form and can reproduce once introduced into the food and beverage lines, they have been proved effective for treating fruit juices and pharmaceutical base liquids. * Flow rates shown as a general guideline at 67 brix. Actual flow rates will depend on the specific UVT of the liquid sugar or syrup and other project conditions. Each liquid sugar UV system is quoted on a "per case" basis. • We have the ability to customize the UV system for any installation. Our engineers can design a custom UV product to meet the installation requirements.